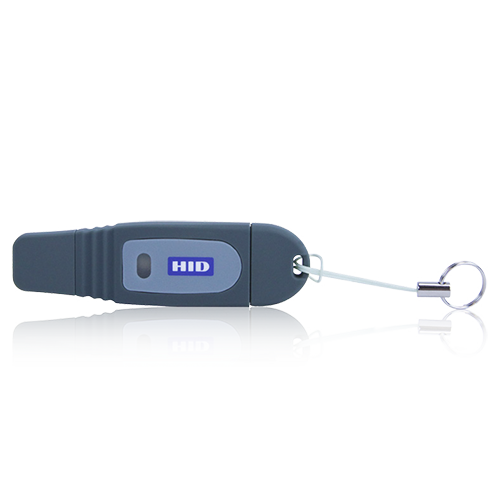 HID Global’s ActivID® ActivKey® SIM USB Tokens provide proven, strong authentication for employees accessing corporate IT systems. They support all of the functionality of a PKI-based smart card, without the need for a card reader. The ActivKey SIM is used to secure log on to Windows, VPNs and PKI enabled applications, as well as to sign and encrypt documents and emails. It eliminates the need to carry a smart card and a USB reader and is ideal for users, such as IT administrators, who require secure access to multiple workstations and servers. 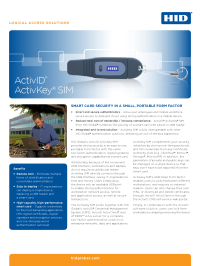 The ActivKey SIM works together with HID Global’s ActivID® Credential Management System (CMS), ActivID ActivClient®, and 4TRESS™ AAA server for a complete two-factor authentication solution to enterprise networks, data, and applications.